Most of the time when we buy our clothes, we seldom look at the laundry care labels on how best to handle them after wear, unless when we are buying expensive pieces. Or those with totally different material from what we would normally buy. 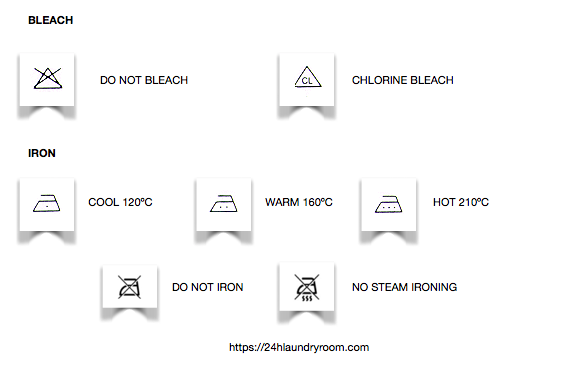 Sufficient knowledge of some of the important laundry care labels on your clothing may well save you the trouble of dealing with damages, sometimes irreversible, such as burns and shrinkages, as well as your money. 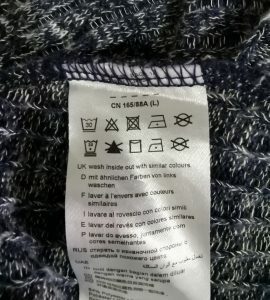 Yet, there are times when the symbols on the clothing labels confuse us more than help us manage our laundry. So when do we send our clothing for dry cleaning, when to hand wash and when to put them into the washing machine? Different materials require different ways of handling, cleaning and washing. For example, washing synthetic pieces in the hot water will shrink your clothing. Ironing polyester clothing will burn them easily, if not leave ugly ironing marks on them. It is important to watch out for these care symbols that can help you maintain and extend the life of your clothing. Here we share some of the common and important care labels that you might find on your clothes on how to best handle them. 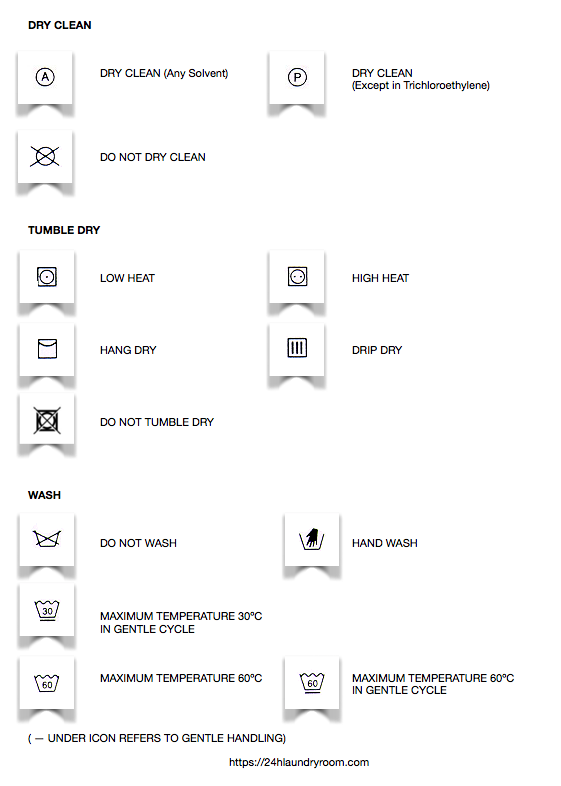 If you see any of the dry cleaning symbols below, do take extra care when handling your clothes. Most of the time, it is better to send them for professional dry cleaning than risk damaging your investment trying to wash them yourself. 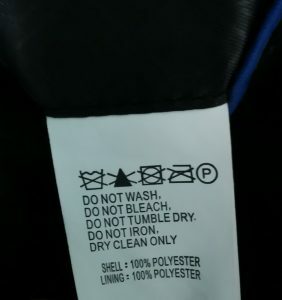 Dry Clean symbols come with different instructions. There are those that can be dry cleaned with any solvent, and then, there are those that come with restrictions. Other times, it is not advisable to dry clean your clothing at all so as to prevent damages such as shrinkage. When tumbling dry your clothes, there are also those that come with information or information from low to high heat resistance. 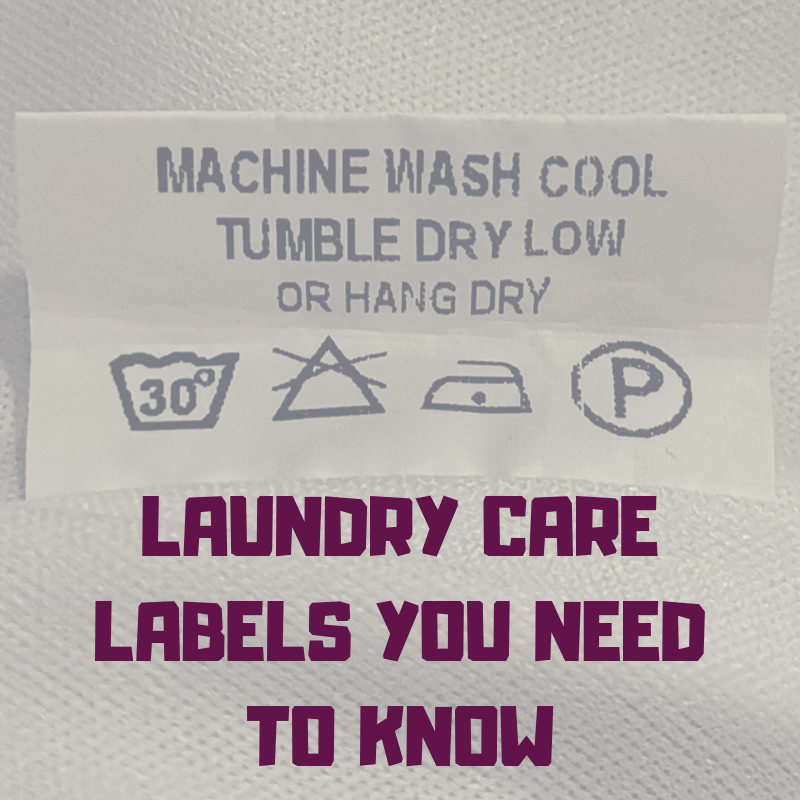 Certain care labels come with specific instructions to not tumble dry at all. In this case, you may have to remove excess water and hang them out to dry or let them hang wet and drip to dry. 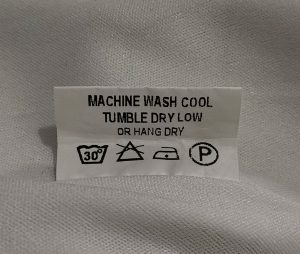 Even for washing instructions, there are those that allow only relatively low temperatures from 30ºC using gentle cycle, up to a maximum of 90ºC. The number inside the symbol represents the temperature in degree Celsius (ºC), while a line underneath the symbol means that you have to select gentle cycle handing. A cross (X) on the symbol usually means a no-no, so do take extra care when handling fabrics of different material and quality, for instance, wedding gowns, formal wear, winter wear, costumes and so on. In terms of ironing, also take extra care on the maximum temperature your fabric can take lest you get burnt marks on the clothing. The above provides a brief yet handy guide on the commonly found labels on clothing such as sweaters, coats as well as dresses of different materials. Below are some examples of the care labels/symbols commonly found on the different types of wear. – Wash at a low temperature up to 30ºC, with gentle cycle. Shown below is the care label that can be found on the inner pocket of a men’s blazer. On top of the care symbols, written instructions along with the fabric material are also provided. Therefore, it is important to take note of the laundry care labels on your clothing in order to lengthen the life of your wardrobe pieces, and especially to maximize the value of your investment. Have questions on the care labels on your clothing, or looking for a professional dry cleaner that knows how to handle your clothing best? Send them to us! We are open 24/7 and located at 354 Clementi Avenue 2 #01-177 Singapore 120354. Alternatively, drop us a Whatsapp message here for any enquiry.